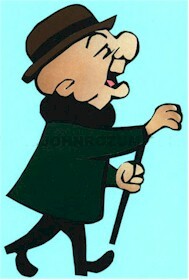 I remember the 1962 animated feature, Mr. Magoo's Christmas Carol. It was a magic presentation to a 7 year old. Hard to believe that Christmas 2012 will be its 50th Anniversary!